a muscle having two heads. The biceps muscle of the upper limb flexes and supinates the forearm; the biceps muscle of the thigh flexes and rotates the lower limb laterally and extends the thigh. 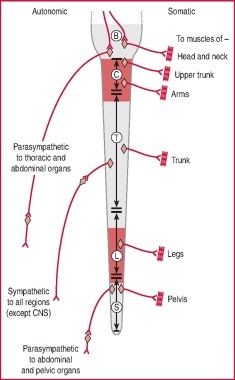 See anatomic Table of Muscles in the Appendices. (bī'seps), The correct singular form is biceps; there is no such word as bicep. A muscle with two origins or heads. Commonly used to refer to the biceps brachii (muscle). /bi·ceps/ (bi´seps) a muscle having two heads. 1. A muscle with two heads or points of origin. a. The large muscle at the front of the upper arm that flexes the forearm. Also called biceps brachii. b. The large muscle at the back of the thigh that flexes the knee joint. Also called biceps femoris. adjective Pertaining to a muscle with 2 heads, e.g., biceps brachii, see there. 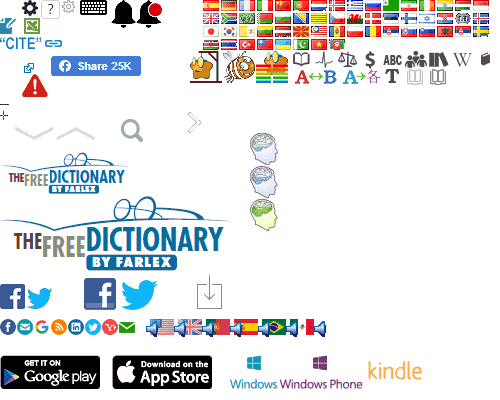 noun A muscle with 2 heads or origins, in particular the major flexor of the arm and thigh. A muscle with two origins or heads. Commonly used to refer to the biceps brachii muscle. A muscle with two heads. The muscle of the upper arm that flexes the elbow and supinates the forearm. 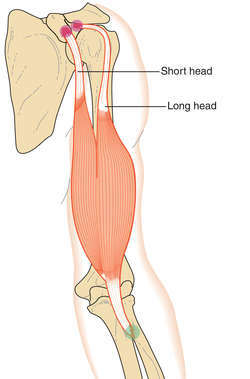 One of the hamstring muscles lying on the posterior lateral side of the thigh. It flexes the leg, rotates it outward, and also extends the thigh. a group of muscles present in the upper forelimb of TETRAPODS which are flexors of the elbow joint. In the hind limb the biceps femoris is a flexor of the knee and an elevator of the femur. See ANTAGONISM. The muscle in the front of the upper arm. meaning 'two-headed'. Usually refers to the biceps brachii, the muscle in the front of the upper arm; both heads have tendinous origins on the scapula, in front of and above the shoulder joint; their rounded bellies unite to form a single tendon which passes in front of the elbow to be inserted into the tuberosity of the radius. Its main actions are supination of the forearm and flexion of the elbow. The biceps femoris is one of the hamstring muscles in the back of the thigh. Figure 1.
a muscle having two heads. There is a biceps muscle in both fore- and hindlimbs. See Table 13. See also bicipital. is a large fusiform muscle lying on the cranial surface of the humerus. Its function is to flex the elbow and integrate the actions of the shoulder and elbow. A medial displacement of the tendon of origin has been reported in dogs, causing a weight-bearing lameness. a large muscle of the caudolateral part of the thigh. Its function is to extend the hindlimb when propelling the body, during rearing or kicking. All of the joints are affected except those of the digit. Rupture of the muscle causes acute hindlimb lameness in cattle. Resembles an intermittent upward fixation of the patella, with extension of the stifle and hock. is elicited in dogs by striking a finger placed on the biceps tendon on the craniomedial aspect of the elbow. An active reflex indicates intact spinal cord segments and nerve roots C6-8 and musculocutaneous nerve. It becomes exaggerated in disease of the upper motor neuron. causes lameness in the horse. Is radiographically apparent. Q. What is a fast and effective way to get bigger biceps and triceps? I am one of the regular goers to gym for the past 6 months and I am very fond of disposing my biceps and triceps. What is a fast and effective way to get bigger biceps and triceps? A. I would not do any curls at all. Instead focus on multi joint, compound movements. Try back workouts, pull ups, chin ups, etc. These will work your biceps. Make sure to go as heavy as possible without hurting yourself, and consume protein. The rest and drink alot of water. Sleep adequately.